AUGUSTA FRIDAY At 7:35 p.m., there was a traffic complaint at the southbound off-ramp of Interstate 95 and Civic Center Drive. At 7:35 p.m., there was a traffic complaint at the southbound off-ramp of Interstate 95 and Civic Center Drive. 8:04 p.m., a motor vehicle crash caused property damage at KFC/Taco Bell on Darin Drive. 8:18 p.m., a disturbance was reported on Memorial Circle. 11:26 p.m., a disturbance was reported at Greentree Apartments on New England Road. 11:49 p.m., a disturbance was reported at Bridge Street Tavern on Bridge Street. At 1:11 a.m., a disturbance was reported at Shenanigans on Water Street. 2:20 a.m., there was a traffic complaint on Water Street. 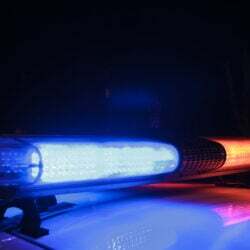 2:53 a.m., a disturbance was reported on Gage Street. 9:30 a.m., harassment was reported on Cony Road. 10:22 a.m., harassment was reported on Hemlock Terrace. 12:50 p.m., theft was reported on Jefferson Street. 2:50 p.m., a motor vehicle crash caused property damage on Northern Avenue. 4:19 p.m., a disturbance was reported at an apartment on Cedar Street. At 11:49 p.m., a follow-up investigation at Augusta Police Department on Union Street led to Zachary Leeper, 23, of Havelock, N.C., to be charged with domestic-violence terrorizing.